Ever come to a point in your life where you need to make a choice? We always struggle with our choices, it is almost easier to be told what to do in life, than it is to choose a path with confidence. With choice comes fear that we will choose the wrong direction. 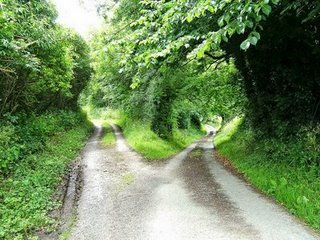 But can we really choose the wrong path in life? I don’t believe so. I do not believe in right or wrong, I believe in different. Right and wrong are relative statements. Your life is like a weathervane… it naturally leads you along a certain path (the path of your destiny). It isn’t until the winds of change blow that you may find yourself off-course a bit. But here’s the deal… you can only go so far down that “off” path until the weathervane snaps you back onto your path of destiny. The winds that can blow you off-course don’t blow forever… eventually you will find yourself back on the right path. You will just have had new and different experiences along that wind-swept path but your lessons always remain the same. They may just be experienced in a different manner than previously planned. Never fear making a choice. You can never lose by choosing what is true to you at the time. There are no right or wrong choices in life, there are only different experiences. You can only lose yourself for so long before the universe summons you back to your path. Facing a fork in the road means making a choice. When you realize that there are no wrong choices in life only different experiences, you empower yourself. You are never lost. You are never broken. A fork in the road is only the beginning of the journey, never the end.